So winter is coming and I've been crazily busy which means I've slowed down a bit on blog posts. But things aren't all bad - I've had a few other projects on the go so I thought I'd share a couple so you know I'm alive and haven't passed out in a ditch somewhere. This is a new mural I just finished at my work. 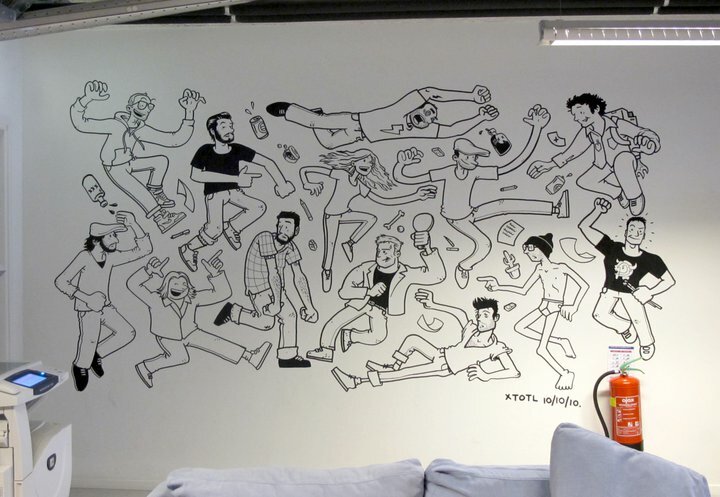 It's a portrait of all 13 people who work on the second floor of the W+K Amsterdam creative department. I'm really happy with it - we've got a good crew on our floor and this seemed like a good way to celebrate that. Remember James Murray and Nato? I've been back in contact with both of them through this blog which has been great, they're both awesome guys. 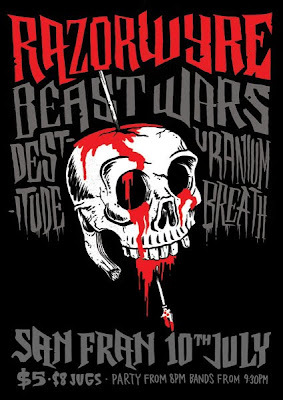 Better still, they've both got bands on the go right now (Razorwyre and Beastwars respectively) and I was lucky enough to get to draw posters for both recently. 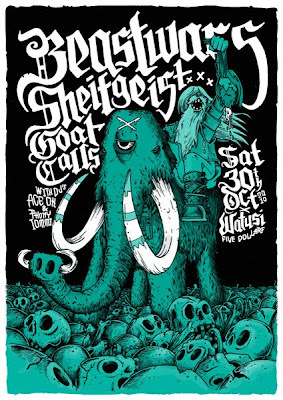 It was the first time I've done metal posters and I have to say I liked it - great to get dark for a change. Well, hopefully I'll get back to doing the 200 People on a more regular basis soon. Don't worry, I'm still on it!